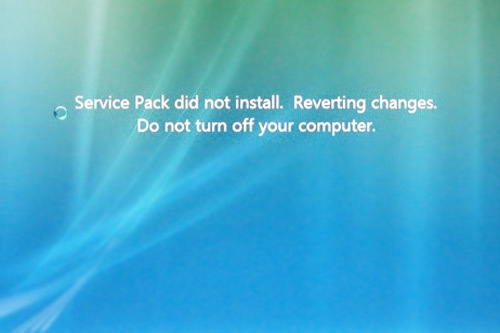 Microsoft is giving me, and countless other people headaches with the Vista Service Pack 1 update. Luckily I haven’t had an inoperable operating system yet, and right now, my personal install score is: 2 failures – 1 success. Since I have a near factory fresh Toshiba laptop on my desk which experienced that BSOD, I gave them a call to see what’s up as their site didn’t tell me anything about Vista issues. I received some bad advice and feel sorry for people that may follow it blindly. No surprise really, and many manufacturer’s may unfortunately say the same thing. a) a program you installed is incompatible, do a factory restore then try again. Sorry, this machine only has an additional browser or two and a card game. b) something you installed caused a driver issue, do a factory install and try again. Sorry, I did not update any drivers and the factory restore for that matter would be useless, it would just set the device drivers back to where they are now. c) call MS. Oh right, who will say call Toshiba. d) download the standalone installer, don’t go through update. Fair. I prefer to work that way anyhow. Unfortunately that was the method I used the other night. e) there are no known issues between SP1 and Toshiba notebooks. All are Toshiba notebooks are Vista SP 1 compatible. No upgrades or downgrades of drivers are required. Red alert! While I was on hold, a little light bulb had flipped on in the back of my head. Clearly my BSOD was some driver issue (didn’t catch the name, it rebooted on me the second I noticed it from the corner of my eye) and the reason of my call to Toshiba. Microsoft didn’t give any install notes about hardware incompatibilities, driver issues and I didn’t find it upon a first quick search. Anyhow. Excuse me? It just did 100% on all three steps, taking its sweet little time overal, and then it says it couldn’t do it? So what exactly happened during all the installation steps? If it checks something that critical at the very end, how about doing that little hardware and software check (or whatever it is) at the very beginning of the update process? And, where can I trace the cause of the problem? I did not see any error information? Nor suggestions? Fortunately this botched update did not ruin the machine. Everything still looks the same and essential applications work. Small sigh of relief. And, now of course Vista SP1 is ready to be installed again. Funny. On a second Vista notebook the SP so far refuses to show up. Haven’t tried any other machines yet, but something tells me I will exercise some patience. There are plenty of similar stories on the web already too. Anyhow, you have to love Microsoft, right? Update: I am too curious what the failure rate will be so I am already trying it on another machine. This one is a year younger, pretty much ’stock’ (or factory default) and faster. We’ll see. Update 3: Fortunately I landed back on my desktop after some very long 15 minutes. My conclusion, with two failures and especially after that Blue Screen Of Death, is that this Service Pack 1 for Vista is not ready for prime time. Two solid and fast machines, less than a year old, from mainstream manufacturers and neither can be updated? I recommend others to just wait. Maybe once you hear on the web from somebody who has the same machine and updated his/her’s fine; you can be confident it will work. To me it is not worth the 40 min hassle nor risking data and possibly having to reinstall the machine. I have read some reports where it took several hours to both install and revert SP1. I can’t imagine sitting through that worrying if the machine will boot.